In today’s New York Times Paul Krugman (a really sensible voice, otherwise) for the nth time is convincing the already convinced that the Republican party is repulsive (which one must agree with). But there is something important missing. If the tactics used by liberal media are intended to promote the Democratic party in any way, it’s really puzzling. It’s main components seem to be the daily bashing of Trump, GOP and Russia. If I were a Trump voter constantly called stupid, it wouldn’t make me run to the Democrats. And if Russian meddling was a real threat (it isn’t, listen to Noam Chomsky and many other sober people) I would certainly stick to GOP, where there are even more foreign policy hawks. One thing clearly missing is positive marketing of a political program. What will the Democratic party do to win over Trump voters and the rest of the middle class, suffering from 30+ years of neoliberal destruction? And even encourage half of the electorate that doesn’t vote? If I, as a foreigner, would give some impertinent advise it would be to focus on politics. There is a new wave of progressives emerging, some labeling themselves socialists (like the natural talent Alexandria Ocasio Cortez). In Europe they would barely qualify as social democrats, and their political programs are embraced here by most conservative parties. The progressives offer real solutions to the problems people are struggling with, but the Democratic party establishment is hooked up to the donor class in a system built by legalized corruption. It’s not tenable in the long run. An advice from a social democratic country: reconnect to the politics of FDR, your best president ever. Become more European! This entry was posted in Democratic party, Krugman, Media, USA on September 25, 2018 by larsschaff. The root of the problem is the same here in Europe, albeit the effects are not as pronounced. It’s called neoliberalism. For all intents and purposes our countries are run by the corporate class, promoting the interests of the rich, at the expense of ordinary people. Politicians regardless of party (with some exceptions) have been mere tools in the process. In elections 2016 US voters finally revolted. The more enlightened turned to Sanders, others to Trump, and the usual third group showed their apathy by not voting at all. Together these groups constitute an overwhelming majority of the electorate. But then it turned out that Trump was completely treasonous to his voters, turning even more power over to the corporate class. From outside it seems futile to engage so furiously in Trump’s eccentricities, without addressing the roots of the problem, which are people’s legitimate grievances. Capitalism has come to a point where it’s stretched to its limits (Spätkapitalismus) leaving two alternatives. One leads down the Weimar abyss, the other to real democracy. It seems as if the best way to disempower Trump would be to approach the large majority and work for real democracy, something we in Europe also are in need of. This entry was posted in Capitalism, Krugman, Neoliberalism, Trump on August 19, 2018 by larsschaff. 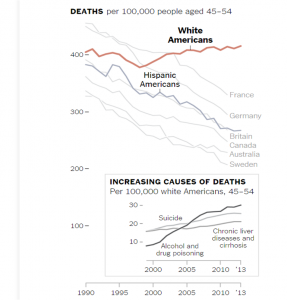 Immediate reasons behind the soaring death rate among white Americans are self destructive behavior patterns such as alcohol and drug abuse, or direct suicide. As an explanation on the next level Paul Krugman suggests existential despair. 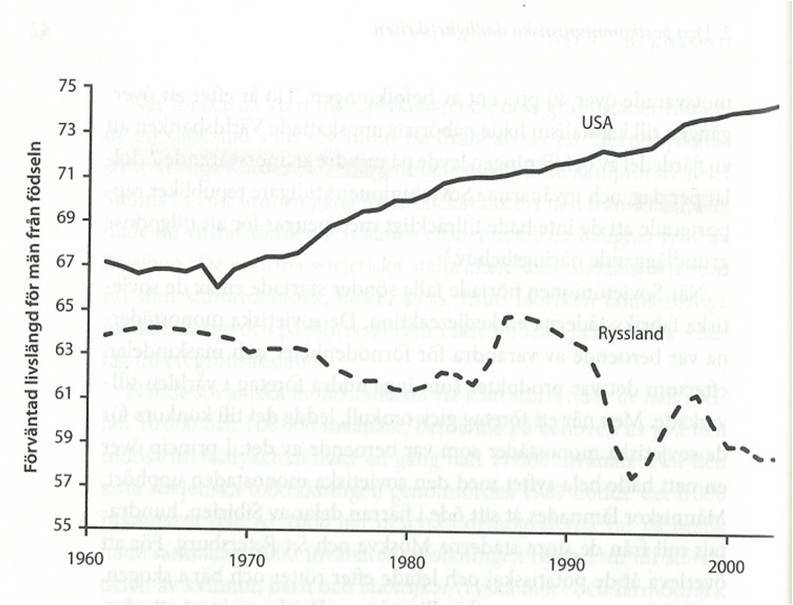 The Russian experience in the 1990s was really dire. Multi-millions of jobs disappeared. Many of the small and medium-sized â€œmono citiesâ€, with usually just one dominant factory, simply closed down, leaving abandoned and crumbling buildings and remnants of retired citizens behind. Men in productive ages couldnâ€™t bear it and accounted for most of the ten million who just disappeared for ever. 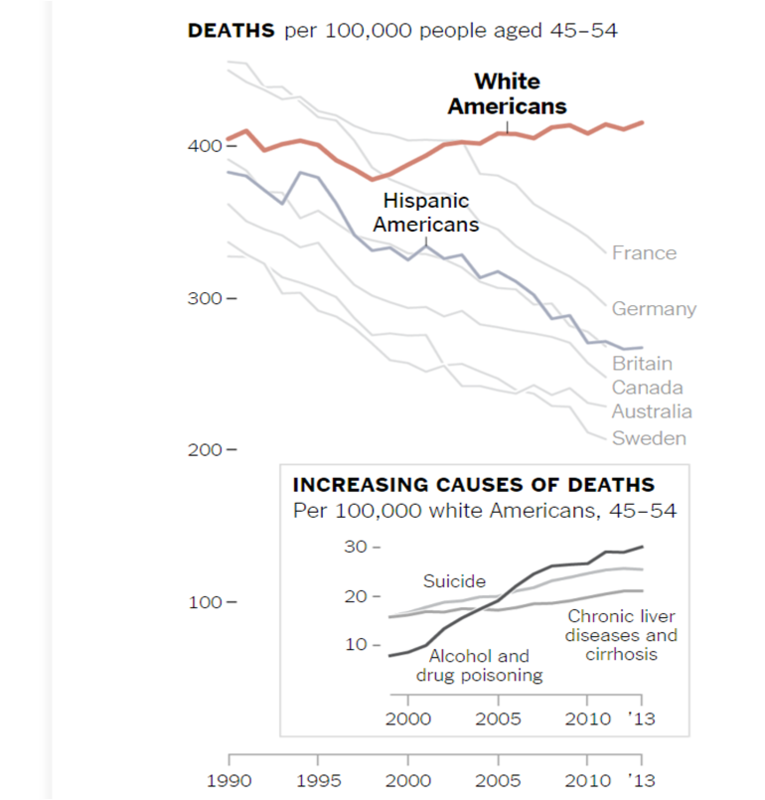 Astonishingly similar in Russia and US are the causes of death. In both countries alcohol and drug abuse play an important role, together with suicide. In Russia also other diagnoses soared, such as myocardial infarction among young men, otherwise rare. Stuckler & Sanjay mentions â€œsocial stressâ€ as a syndrome underlying the deaths. Many men seem to have an innate pride, requiring that they are able to support themselves and their families. Bereaved every possibility to fulfill this task they appear to lose the purpose of life. Deaton & Case conclude that the absolute level of despair isnâ€™t the decisive factor behind the self destructive behavior. Instead they suggest that the middle-aged whites in America have â€œlost the narratives of their livesâ€. It seems to be more a question about the distance they have to fall when they exitÂ from a higher altitude. Or in Krugmanâ€™s words: â€œweâ€™re looking at people who were raised to believe in the American Dream, and are coping badly with its failure to come trueâ€. Krugman again: â€œIf you believe the usual suspects on the right, itâ€™s all the fault of liberals. Generous social programs, they insist, have created a culture of dependency and despair, while secular humanists have undermined traditional values.â€ Itâ€™s exotic for a Swede that there are influential conservatives in the United States who believe the unbelievable, reject the obvious and denounce reason; more so that they dominate the Congress and threaten to capture the presidency; and are doing so supported by billions of dollars from the corporate sector. In the most powerful nationÂ that ever existed! The world must take a deep breath. This is an honor to mention only when one thinks the Prize Committee has made a decent choice. Otherwise itâ€™s an affront to Nobel that the Swedish National Bank instituted this prize in his name for something that perhaps Nobel, like many of us, wouldnâ€™t even call a real science. In a recent New York Timesâ€™ column. This entry was posted in Capitalism, Crisis, Death rate, Krugman, Neoliberalism on November 14, 2015 by larsschaff. Follows a collection of commentaries I’ve made in the New York Times Readerâ€™s Comments section on different articles (mostly for me keeping track of them myself). Theyâ€™ll be accessible as long as NYT keeps the links alive, I suppose. 9 May 2015. This article appeared simultaneously in NYT and Dagens Nyheter (Sweden), not surprisingly. Itâ€™s that kind of text our propaganda model loves: a Russian author who more or less regrets that his country defeated Nazi Germany in WWII. He just thinks that one oppression was replaces by another, obviously unaware of the Naziâ€™s Generalplan Ost which aimed at exterminating most people in Russia and enslaving the rest. This was not some high-flying Nazi plan or empty threat, it was implemented from day one of the German invasion. The existence of the special Sonderkommando with the explicit task to exterminate Jews, Communists and other unwanted humans was the terrible evidence of that reality. One could have hoped that NYT and DN hadÂ been kind enough to save the poor ignorant (or just propagandistic) author from his embarrassment, but the temptation to publish his sentimental excesses was maybe to overwhelming. As some Readers’ Comments point out, the article was also a slap in the face on Putin and Russia, on the very day, sacred for Russians, of commemorating the death of 27 million people which Russia had to sacrifice to defeat the most atrocious and inhuman ideology in all history: Nazism. 11 May 2015. A comment on one of Paul Krugmanâ€™s many enlightened columns in NYT. 17 May 2015. 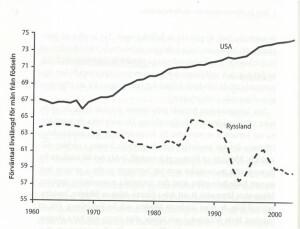 An article on the prospects for western economy after the last collapse, with discussions about singularities, neglecting the overall picture. This entry was posted in Anniversary, China, Dagens Nyheter, Economics, Krugman, Nazism, New York Times, Politics, Putin, Russia, Sweden, Terrorism, Vaccine on May 19, 2015 by larsschaff. An anecdote has it that Noam Chomsky grinds his teeth when he reads the New York Times. But he also recognizes that there is some serious and professional reporting alongside the skillful but goofy propaganda stream. One can say the same about the Swedish Dagens Nyheter, save the level of professionalism. Thus I subscribe to the NYT web edition to get a broader outlook, apart from it being somewhat less pathetically â€œmainstreamedâ€ than DN. When it comes to the selection and presentation of the kind of world news that has to be aligned in accordance with the propaganda model, the similarities between DN and NYT are striking. The material is probably molded already in news agencies, and then DN seems to snitch from NYT and others. Often the wording is identical, and certainly the bias. But there are some differences. Especially interesting is what kind of â€œbig newsâ€ in USA that becomes â€œno newsâ€ in Swedish media. To name one example: Citizens United, a central concept in US debate which is carefully kept out of media in Sweden for reasons one can only speculate on. Is it the fact that the Supreme Courtâ€™s decision is incomprehensible for most people here, who probably would compare it with codifying unlimited corruption? Another more random example is the Cliven Bundy case, which has passed almost unnoticed here. Itâ€™s not that violence or crimes as such are censored, on the contrary. Events like school shootings and other mass murders in the US are covered intensely by media, so the difference opens the field for speculations again. Is it that crimes committed by individuals have limited implications for the society, whilst the Bundy insubordination revealed a weak public authority that opened for mafia-like actions challenging law and order (thus degrading USA)? Itâ€™s anyoneâ€™s guess. With the morning coffee I consequently browse quickly through the DN site, continue with NYT to stop for some reading and then spend moreÂ time with The Nation and other informative links. In my opinion the prime voice of reason in NYT is Paul Krugman, an economist differing from many of his colleagues by using his brain instead of reflexively rely on dogmas from a depleted science. His progressive views are so rare in NYT that he appears to be a kind of liberal alibi for the prestigious paper. In his column today (ranked No 1 in â€œMost emailedâ€) Krugman has some really intelligent and informative commentaries on â€œOur Invisible Richâ€. Developments have gone to such an extreme the last decades that people just canâ€™t grasp how grotesque the inequality has become. In a recent survey people in various countries were asked how much they thought top executives of major companies make relative to unskilled workers. In the United States the median respondent believed that chief executives make about 30 times as much as their employees (which was roughly true in the 1960s) compared to the real figure which is something like 300 times more, not to mention the really lucky, like the top hedge fund managers, who pick up some 10Â 000 times more than an ordinary employee. To this one may remark that neither Aristotle nor James Madison thought that such an unbelievable development would ever be possible. Both took for granted that a majority in a democracy would vote to expel inequalities of that kind, but they chose different solutions to the problem. Aristotle concluded that society had to accept equality as a basic principle, while Madison preferred democracy to be limited. One way for Madison to achieve this was to establish a senate not elected directly by voters. It turned out that Madison was too cautious; he had no clue as to what modern propaganda would be capable of in the coming centuries. Today the super rich are safer than ever from any democratic threats, though the senate nowadays is appointed directly by voters. Itâ€™s not that peopleâ€™s preferences are unknown. If they estimate the high bossâ€™s salaries to be 30 times higher, they would prefer the difference to be considerably less. The tool to achieve that is called democratic struggle, and that is something bound to come â€“ trough collective action. This entry was posted in Dagens Nyheter, Economics, Krugman, MSM, New York Times, Propaganda, Ukraine, USA on September 30, 2014 by larsschaff.